As the world largest producer of motive power batteries, EnerSys supports long term supplier relationships in order to be successful and the last 10 years has seen Burnetts broaden the range of rubber components we supply. In parallel to this we now supply plastic components and we continue to work closely with EnerSys to develop and supply new products. 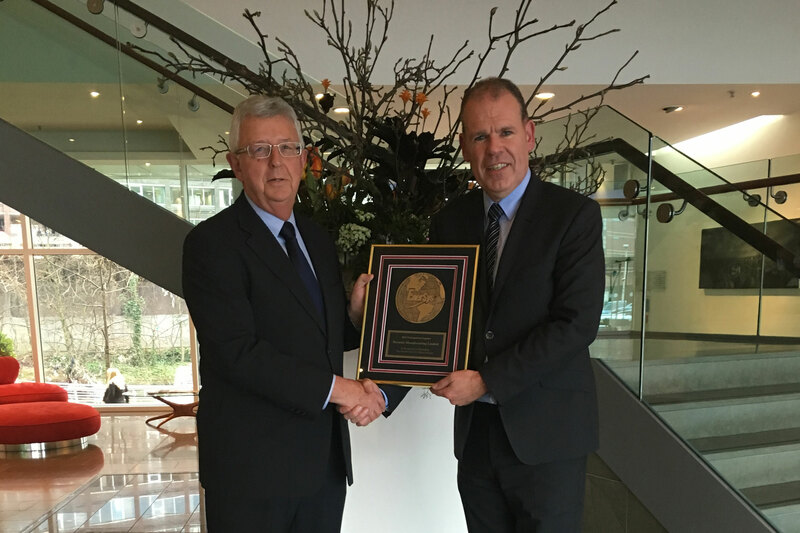 Phil Jones, European Purchasing Manager, EnerSys presents the award to Alan Murphy, MD.